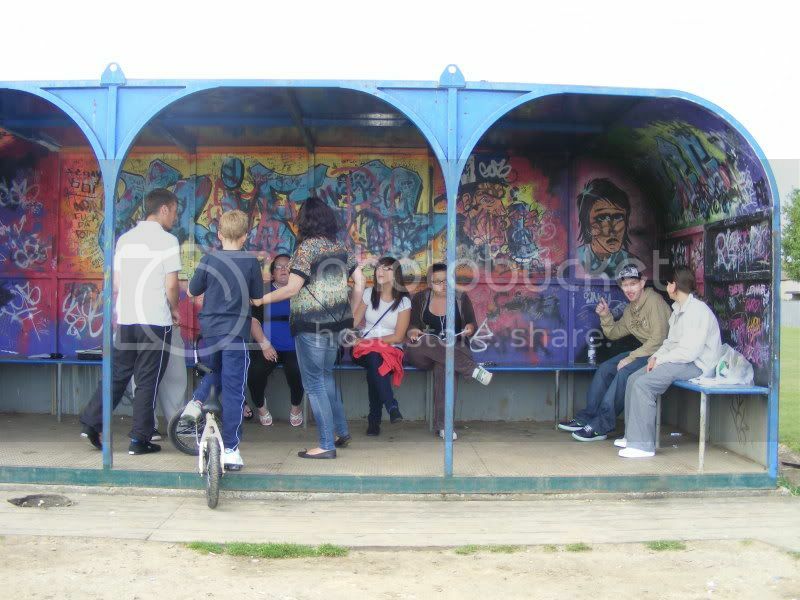 This is a metal shelter for the youths of a local village to congregate in. 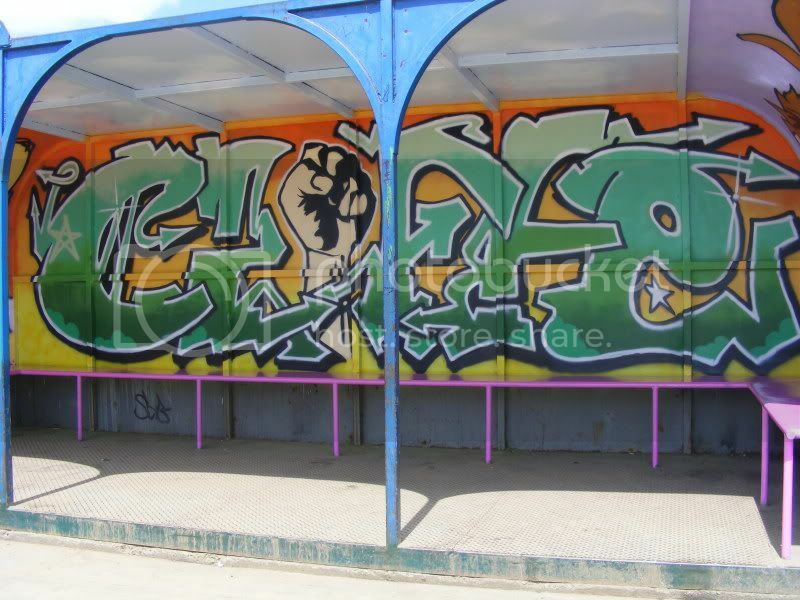 The whole thing was designed and painted with the help of the local youths that use it. 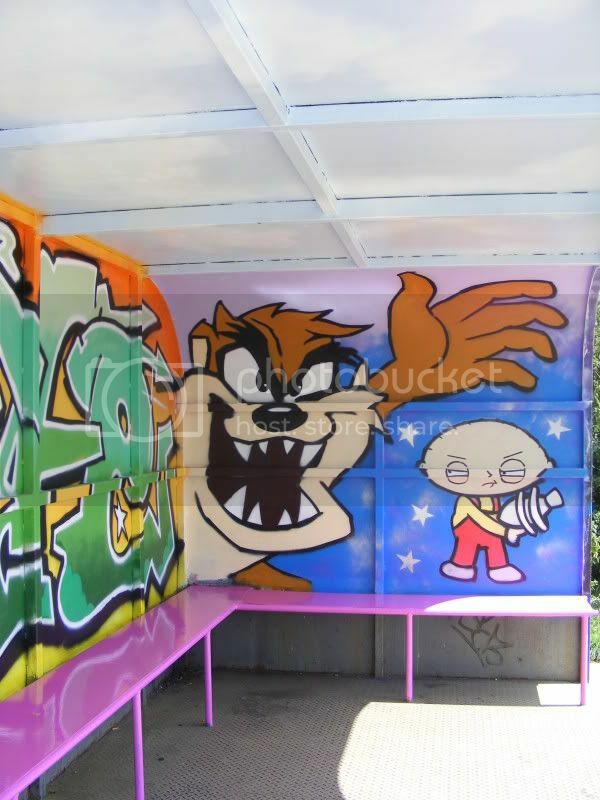 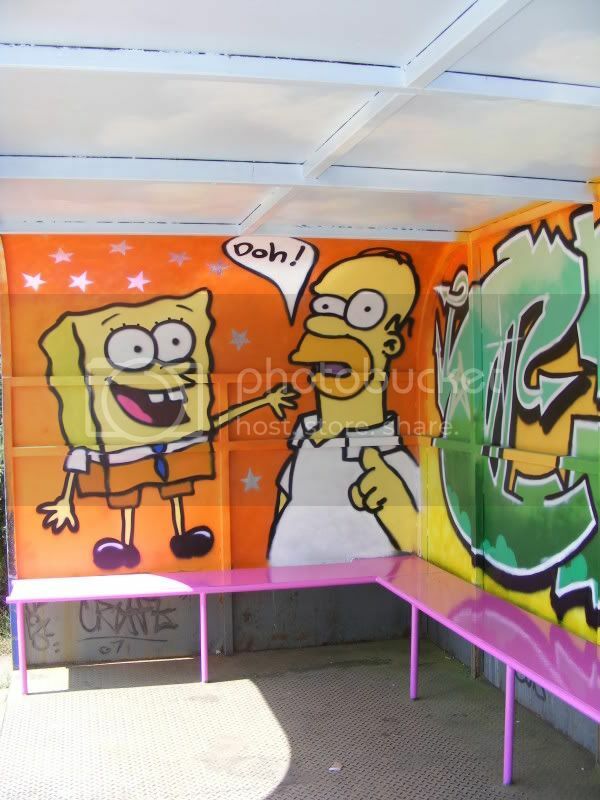 This shelter had been plagued by graffiti for a long time and the kids thought that the original paint colours were very dark so we repainted it in a much brighter design with a light blue sky and clouds on the ceiling and some colourful characters on the inside of the side walls. 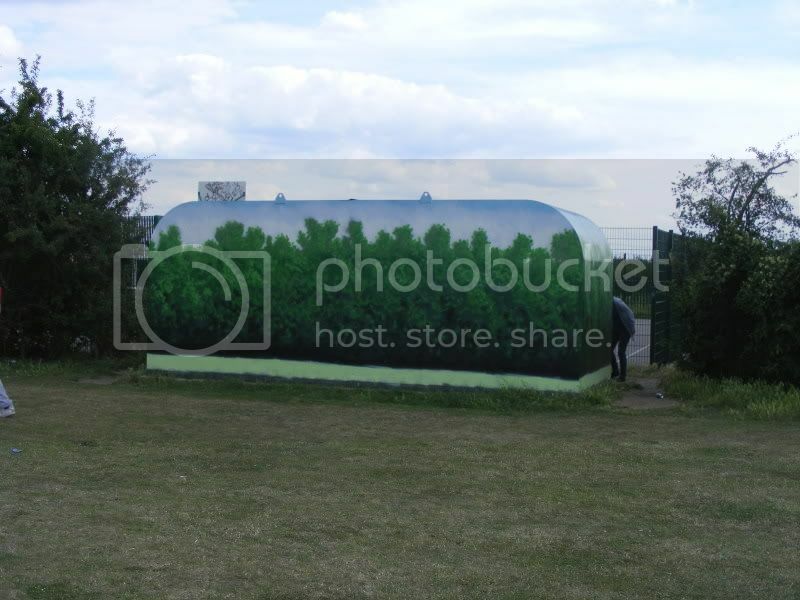 The exterior was painted to blend in with the surrounding tree-line and means that the shelter, rather than being an eyesore, is hardly noticable from a distance. 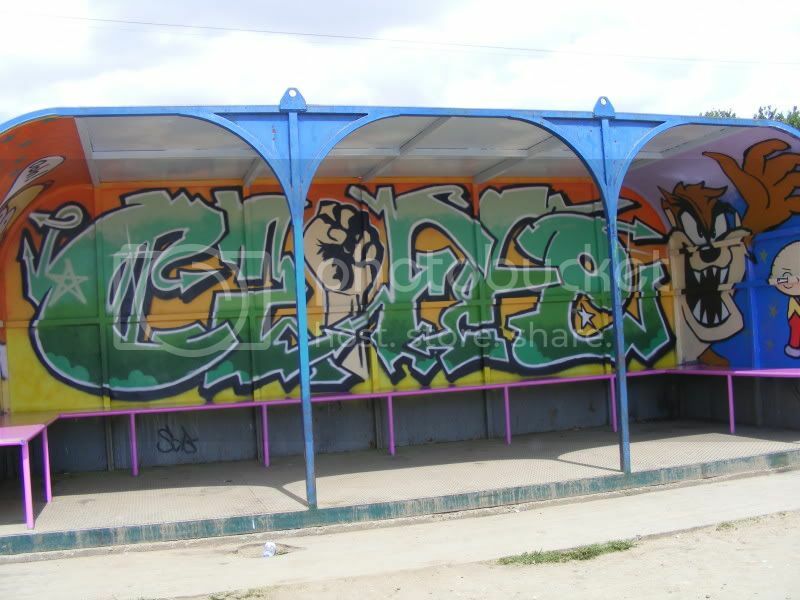 Once the painting was finished the whole shelter, interior and exterior, was coated with anti-graffiti varnish so that any unwanted additions can be easily removed.